Our CNE application has been approved for a total of 17.5 contact hours for select lectures (by the Western Multi-State Division, an accredited approver by the American Nurses Credentialing Center’s Commission on Accreditation). We have been working with an experienced nurse-planner to assemble a varied program of clinical lectures and a field study which meet the new criteria established by the ANCC in 2015. We are happy to present to you this nursing CNE program for 2017. See below for detailed CNE schedule. 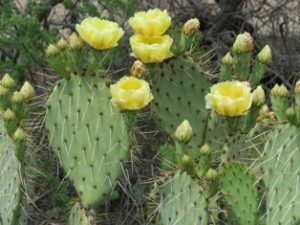 Explore the desert environment and learn medicinal plant identification, medicinal uses, harvest techniques and herbal medicine preparation. This field study offers an easy stroll through the desert environment and ends up at a display table where JoAnn will offer many desert goodies to sample. Note: Field Study location is being changed and the new location will be announced as soon as possible. When it comes to herb-drug interactions, the implications of currently available cutting edge data have been sidelined in favor of outdated unsubstantiated reports about the dangers and downsides of combining herbs with drugs. This lecture discusses how recent research can and should be re-framing the herb drug interactions debate and will set the stage for constructive concurrent use of combination herb-drug strategies in a variety of clinical settings. MRSA and other antibiotic resistant infections have become a major health issue. Newspapers report new cases of infections, schools are scrambling to protect students and health care facilities are overwhelmed with hospital-acquired infections. In this class we discuss new research on herbs and essential oils that may offer alternatives to no longer effective antibiotics, as well as herbs that inhibit MDR, bacterial quorum-sensing, biofilm production, bacterial virulence and that may also allow antibiotics to regain efficacy. Botany, historical uses and recent studies are reviewed for Actaea spp and Caulophyllum. Although not related through constituents or botany, they have many properties in common, and have frequently been used historically as a pair in neurological, respiratory, and obstetrical applications. Platinum-based chemotherapy agents remain a standard of care in treating germ cell (ovarian/testicular) and several other malignancies despite their toxicity. Botanicals can enhance the outcomes of platinum drug use by preventing and/or treating both general and specific drug side effects, as well synergistically enhancing the cytotoxic capabilities of the drug. This scenario is used to illustrate the methodological principles of managing beneficial herb-drug interactions based on rigorous preclinical research and phytopharmacological data. Neurohacking is a new term that encompasses biological interventions to optimize the way people think and perform. In this talk, we discuss cognition and ways to optimize it. Drugs which are often used to this effect will be briefly reviewed, with the focus being on herbal therapies that improve cognitive function, endurance, and focus. Herbs can be used not only as physical medicines, but as ritual and spiritual medicines as well. We explore the ceremonial use of herbs in indigenous and traditional cultures, how they are used as incense, baths, amulets, teas, entheogens, and other ways to grow our spirits, heal our souls, bring us good luck and protect us from negative influences. While these drugs can have unintended side effects, the use of Cannabis as a substitute should be carefully evaluated for efficacy, adverse reactions and best use for either weaning patients from a drug or using it in conjunction to reduce drug dosage and negative effects. In a fair comparison, Cannabis may be better, but a user may also develop tolerance, loss of effect, and side effects from Cannabis. Examine all sides of this topic with three experienced clinicians. What used to be called adult-onset diabetes (Type 2 Diabetes) is now commonly seen in children as well as adults, driven by obesity, poor diet, lack of exercise, nutrient deficiencies and environmental pollutants. In this class we differentiate between the various types of diabetes, discuss the underlying pathophysiology and orthodox treatment of each, and how we can use herbs, diet, healthy lifestyle choices and nutrition supplements to prevent or treat this modern epidemic. The therapeutic order in healing describes a hierarchy of interventions, from the least invasive and most supportive, to more suppressive and ultimately to surgical interventions. 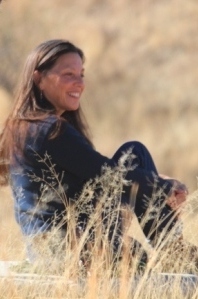 Medical herbalism has applications to offer at each level of this therapeutic order and this lecture demonstrates, in a series of case studies, the power of working with herbal medicines at each level. The use of Cannabis to treat issues such as cancer pain or chemo-induced nausea and vomiting is well established. However, there is also widespread patient interest in Cannabis as a direct anticancer agent. This session reviews how cancer involves the endocannabinoid system, and presents data on the anticancer properties of Cannabis both in terms of cancer pathophysiology & molecular biology, as well as its effects on specific malignancies. Bring your favorite mug and learn how to brew spicy adjuvants, creative carminatives, soothing stomachics and more herbal delights, all from the medicine garden harvest. Medicinal teas brewed to broaden your knowledge and bring smiles. Sometimes our most commonplace herbs, often growing abundantly around us, are overlooked in favor of newer, exotic, or imported herbs or preparations. But the commonplace “boring” herbs endure through millennia because they are reliable, potent, and versatile in their applications. We discuss recent research and traditional uses for Urtica, Matricaria, Althaea, Allium sativum, Plantago, Calendula, and Hypericum. Here is a listing of the CNE lectures in chart form. View full program on main SW Herbal Conference page. Our live events, recordings and notes also provide opportunities for continuing education in areas of alternative medicine – such as integrative medicine, naturopathic medicine, complementary medicine and holistic medicine. Contact us for questions regarding CNE — we’ll be happy to help!